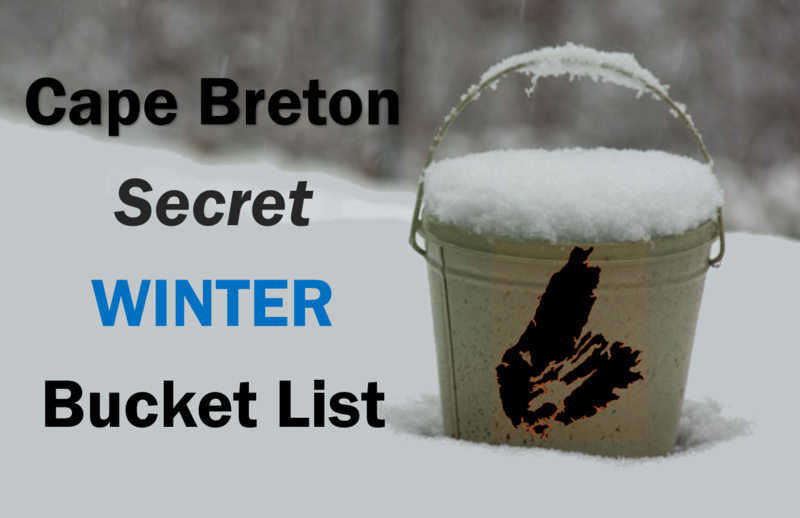 First off, a tip of the hat to Steven Rolls, whose earlier (and quite brilliant) Cape Breton Secret Summer Bucketlist was the inspiration for this Winter Bucket List. 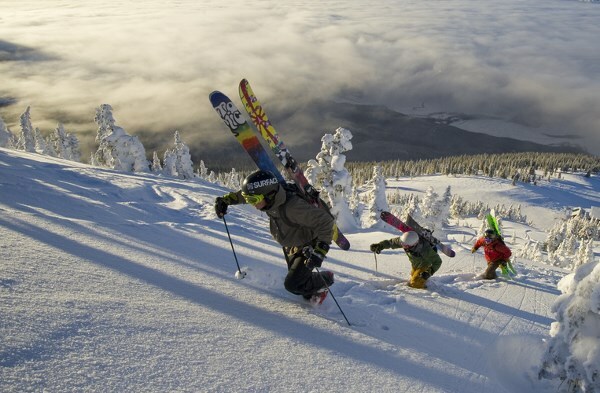 This WINTER Bucket List varies from the Summer Bucket List in a few ways. Not every winter activity is attached to a specific location. Some are generalized and might be accomplished at various locations. In a few cases, I am aware that the activities are taking place, but further research may be required by readers to determine the exact requirements of getting involved. And finally, while I am personally enthusiastic about Christmas and New Year's events, I have not included them here because they are so numerous that they really deserve a dedicated list of their own. 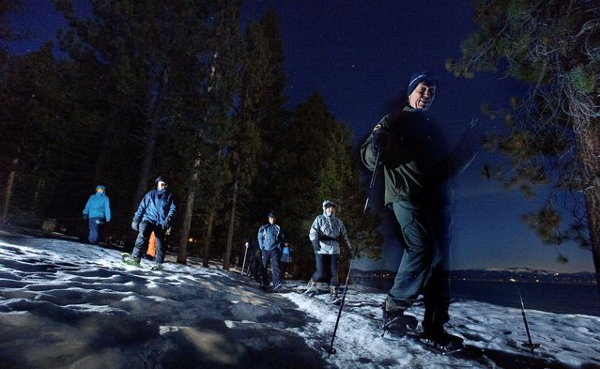 Many of these winter activities require appropriate winter gear and some thoughtful planning. Most of them require that you possess at least a modicum of physical fitness. While I encourage people to get outside and enjoy the winter season, don't put the bucket before the bucket list. Go safely. I have tried to add links to activities, where I can. I invite readers to contribute their own suggestions below. As far as I know, skiing is a reason for living. 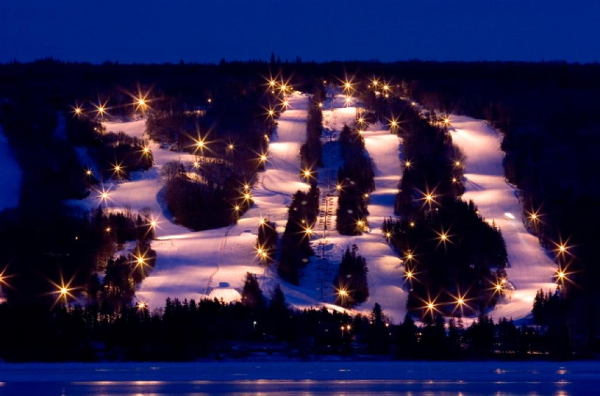 Skiing at night? Well that is just a little bit better. 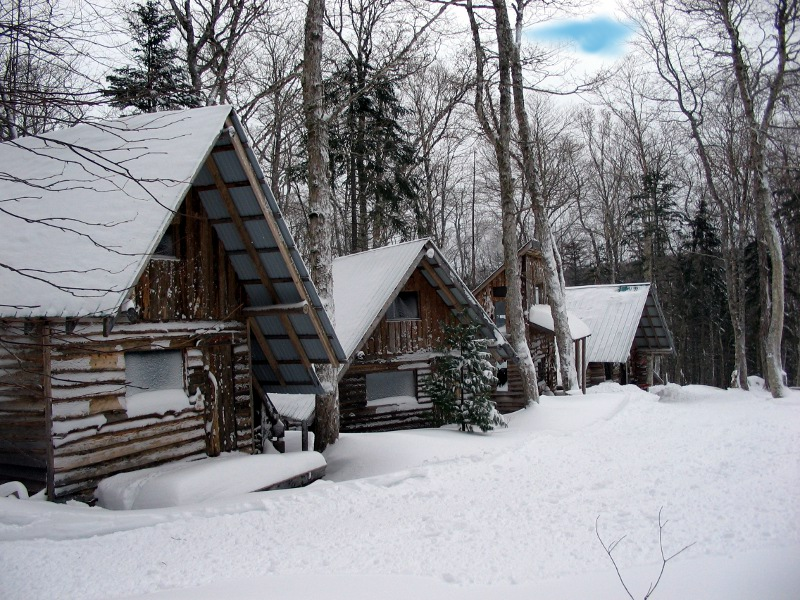 Cross-country ski (or snowshoe) into this fabulous little hobbit village. Rustic and romantic. Truly unforgettable. This is actually an ancient X-sport. It is similar to waterskiing in that you hang on to a rope that is attached to something that moves. I'm not aware that anyone is actually offering skijoring as an activity in Cape Breton, though I would be happy to hear if someone is. You don't actually need a horse. Dogs are okay. I actually skijored behind a Wilf Kaiser's snowmobile in a field near Baddeck one time. 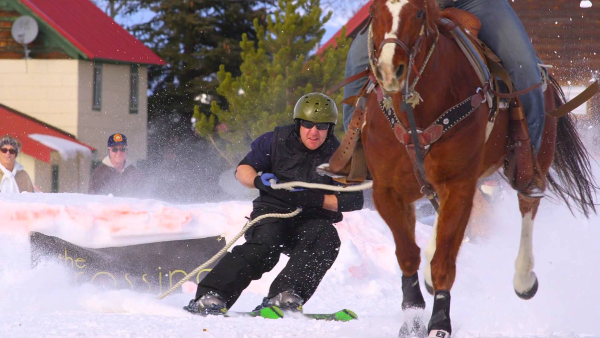 And I once met a guy from Banff who claimed to hold the speed record for skijoring (70 mph) behind a sports car on a country road. I'll stick to a one-horsepower pony for the moment. Sking Cape Smokey is definitely a Bucket List item for me. Years ago when the Chair Lift was running, I took it to the top and walked down with my sons, imagining that we were skiing. Now there is a Poma lift that takes you about half way to the top. So, if you want to ski from the top, like i do, you will have to climb that top half. I have never actually done anything like that, but I am guessing it would be the stuff memories are made of. I saw a video (posted by David Williams) of a couple doing this and thought it was the ultimate in Cape Breton back-country winter adventure. It is not clear from the video where the trail head is (the top of North Mountain, I guess). And it looks to me like you might be wise to take along a GPS - in addition to a bunch of expedition gear. But what a view! I did this once at Ski Ben Eoin and it was a hoot. Good exercise. Friendly people. Some good cheer at the lodge when it was over. I think there may be other places in Cape Breton that offer this activity as well. Personally, I come from the self-propelled camp of outdoor activities. But I have done snowmobiling on occasion, and it is kinda fun. Some amazing back country scenery is available on the snowmobile trails that criss-cross the island. 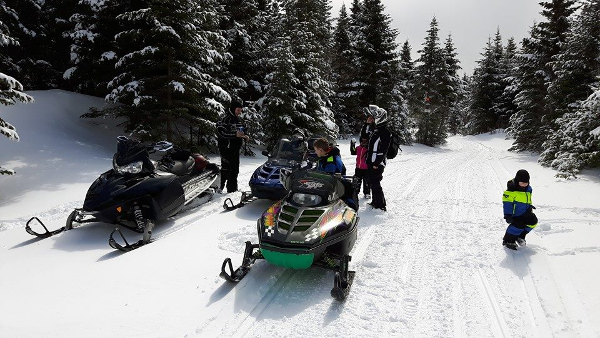 And good news for noobs: You can rent snowmobiles at Highland View Snowmobile Rentals near Baddeck. If you are new to this, you might want to rent a guide as well. I reckon there are sleigh rides happening at various locations. If you know of one, please let me know and I will add it here. My thanks to junior cultural ambassador, Jada Paul for suggesting this one. The traditions of the Mi'Kmaw Sweat Lodges are quite different from the Swedish sauna traditions that I am familiar with. A Sweat Lodge is an ancient purification ceremony associated with native peoples across North America. It is intended to cleanse and heal the body and the mind. Jeff Ward at the Membertou Heritage Park says he plans to run Sweat Lodges each Sunday at starting at Noon. The Sweat Lodges are open to the public, but there are a number of protocols associated with the event. Of special note, and given that this is a spiritual cleansing event, participants must not have used drugs or alcohol for 4 days prior to the event. You can learn more by watching the video below. I think it sounds really interesting, especially if it supports the ongoing reconciliation of the native and non-native communities. Jeff Ward suggests that you contact him at the Membertou Heritage Park at 902-567-5333 if you would like to get involved. This is a traditional Mi'kmaw take on ice fishing. My thanks to Jada Paul for suggesting this idea. Winter Eeling involves a long specialized spear - and (I would guess) strong shoulders and great patience. And you might want to take a Native guide with you as I am not sure where to find eels or what regulations govern the eel fishery. And I have never eaten Eel before, so I guess that would be a related Bucket List item for me. This is, perhaps, the greatest winter-storm pastime of them all. At the height of a blizzard, even an urban area becomes a wilderness. Nobody is out. During the biggest storms, even the snow plows retreat to the main roads. It is an amazing experience to ski out your front door and into an urban wilderness. Proper gear is essential. This is the super-sercret winter bucket list item that is only shared with the very-grooviest of people. There is a little-known weather shield called the Sydney Dome that protects Cape Breton from big cyclonic storms that come up the eastern seaboard. You heard it here first. The Vince Ryan isn't much of a secret. While the tournament is happening, you can hardly walk down a street in the CBRM without tripping over a hockey player. And some would argue that the BayPlex in Glace Bay is closer to being the spiritual home of in the Vincy (though the Vince Ryan website says the tournament was first played on an outdoor rink in Donkin). But there is something special about the Dominion Rink. Look at this picture. See that guy Kenny, in the middle? Kenny never smiles. He's a wonderful guy, but public demonstrations of good cheer are not his thing. 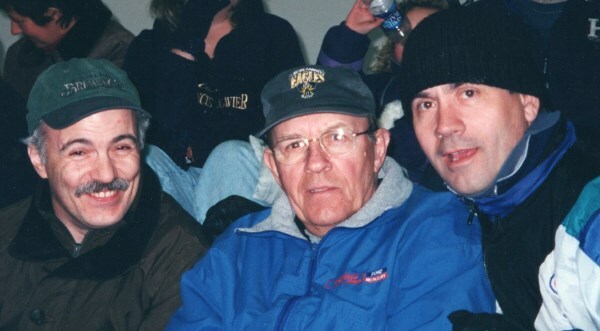 In the 20-odd years I known Kenny I don't recall ever once seeing a smile cross that mug of his - except this one time, at the Dominion Rink during the Vince Ryan Tournament. Do you see where I am going with this? If this can make Kenny smile, you can bet it will be a Peak Experience for the rest of youse. Get down there! This is only "secret" because it is new. Like new this season, new. And how often does a NEW professional sports team come to Cape Breton? No so very often. So let's get out there to Centre 200 and show some support! Go Highlanders! Who hasn't wondered what makes curling addictive to curlers? And there is probably no better place than a curling rink to ask why curling events are called Bonspiels? Or why nobody likes using those really cool Corn Brooms any more? Curling Rinks periodically offer Fun Nights where newbies are offered the chance to try curling out one time for a small reasonable fee. (Full-fledged addiction to the sport will likely cost you more.) 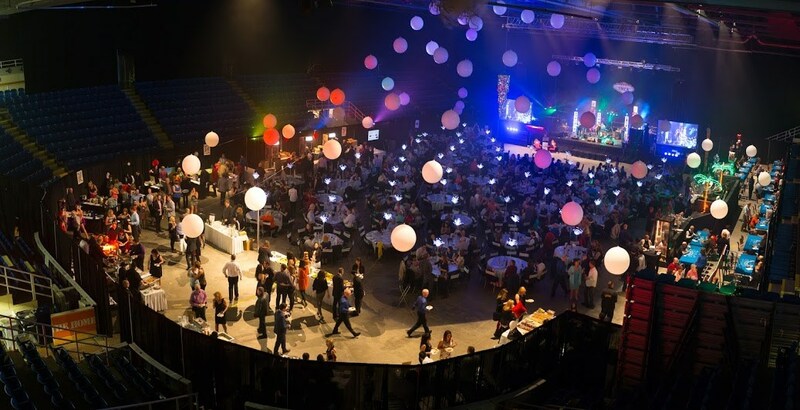 Some of these Fun events are posted here on goCapeBreton. 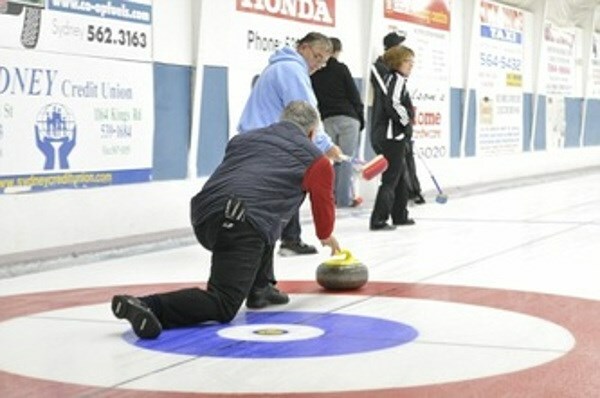 You can find curling rinks in Sydney, Baddeck, and Port Hawkesbury, and they all offer Fun Nights periodically. I'm just saying, you don't want to shed that mortal coil before giving curling a try. I did this once, admittedly many years ago. I like to say that it was the wettest dry event I ever attended. 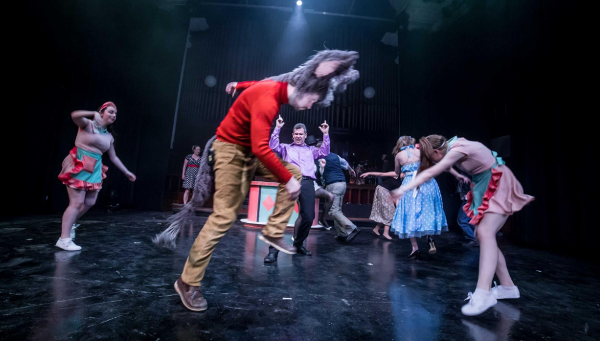 The dances go in a cycle of three. You start off with one that is dead simple. A couple of spin-your-partner doe-see-does. No problem. the second dance is barely more complicated than the first. Very straightforward. You can do it. The third dance is totally complex and actually requires some concentration. If you are new, you will almost certainly mess it up. But that is okay because getting totally befuddled and going left when you are supposed to go right, and bumping into people is a hilarious good time. Add some good fiddle music and you have yourself a full-fledged slice of life. Restaurants and accommodation are available nearby. Happens every Saturday night. All ages welcome. Just do it! You know, live theatre is not always the first thing on my mind when I am thinking about an evening out - but it probably should be. I don't think I have ever been disappointed by live theatre. And now that I think about it, many of my most-enduring good-time memories are from theatre nights. I don't want to tell you it's good for you, because then you won't go. But I bet you will have a good time and thank me for it later. Just sayin. Did you know that St Patrick's Day is a civic holiday in Newfoundland and Labrador? We are not quite that civilized in Cape Breton, but you can still find lots of enthusiastic Irish wannabes here. The Cape-Breton epicentre of this annual Green Beer Madness is the Old Triangle Irish Alehouse in Sydney. Expect a lineup to get in. If you just can't wait, there are quite a few other fine drinking establishments that would be only too happy to sell you a green beer on this most-festive of Saintly holidays. I am not sure I ever felt more love in my heart for the entire universe and all the souls in it as I did after sampling one-craft-beer-after-another while listening to local musicians. Indeed, I started to sense the inherent genius (and intrinsic value to the local economy) of looking to local producers for all my food and drink and culture. This event should definitely be on the Bucket List of anyone old enough to drink beer. Back when I was a teenager, my older-and-"wise guy" brother once forced me to gamble with him until all of my allowance was gone and he had money enough to go drinking. Ever since that day, I have been a bit dubious about the joys of gambling. But the YMCA's Monte Carlo Night is the one gambling event to which I feel I can warm up. Maybe it's because losing benefits a good cause. Or maybe all those women dolled-up in their Monte Carlo finery are so distracting that I don't even notice the money pouring out of my pocket. Whatever the reason, this is a good time and should be on everyone's Bucket List. Unless you have been living under a rock (and hopefully that is not the case) you will know that the second-most contentious election in recent times was held in the CBRM. It is promising to be an exciting season of council meetings as our wiley ol' Mayor tries to rein-in the eager-but-untried new council members. This is promising to be a classic Irresistible Force encounters the Immovable Object showdown. Council meetings are usually held the third Tuesday of the month at 6 p.m. Seating is free. Do you have an idea for the Winter Bucket List? Are you rolling your eyes because I forgot something obvious? 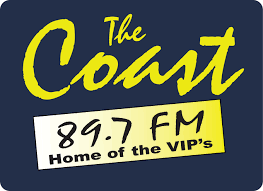 Posted by Peter Ross on goCapeBreton.com where you can find and share everything about your local community. You might want to add fatbiking on snow trails. It's loads of self propelled fun. Excellent idea, Bill. Thanks for flagging it. Love the list and the whole concept! Well done. You can add hiking along the coast to that list~ (Louisbourg) Beautiful anytime but magical in winter to be along side the ocean! That's a cool idea, Lynn. Are the trails especially icy or would you require any special gear? I will add it to the list. I wonder if there is a winter picture available? The trails are usually pretty good..I don't mind if they're a bit 'rugged' or snowy. There tends not to be a lot of snow that collects near the ocean so it makes for very cold but great hiking! Dress appropriately, good hiking boots, water, snack and hiking poles and Off you go! lol I don't take photos, sorry! See you on the trails! A well done list! Enjoyed viewing it!